Our capacity to meet the market expectations is the key value of our company. 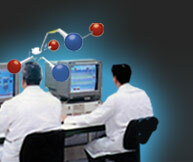 As a leading provider of sleeving technologies, Innovation is a state of mind at Sleever. 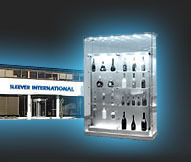 Engineering, the third component of the Sleever system, is the domain of Sleever Machines , which is entrusted with the joint development and production of a full range of equipment for sleeve conversion: single and double head positioning machines, steam, infrared and hot air shrink equipment and special machines for specific applications. 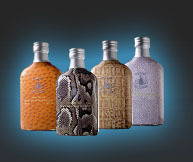 The division is at the service of the group’s production units (Sleevpac®, Decosleeve®, Unisleeve®…) and industrial and contract packaging clients over four continents. The best proof of Sleever Machines’ expertise can be found in over 1200 machines currently operating throughout the world in the production sites of world-class food, cosmetics and pharmaceutical groups among others. 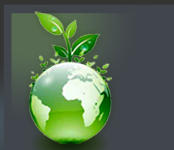 At Sleever International, our commitment to the environment is a daily goal ! 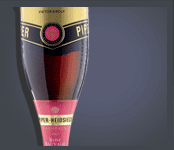 Pentawards rewards Sleever International for its realisation on Piper Heidsieck Rosé Sauvage collectible. 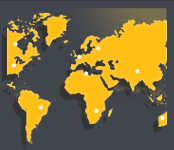 Sleever is handling full-service offices worldwide sharing a common excellence in business.